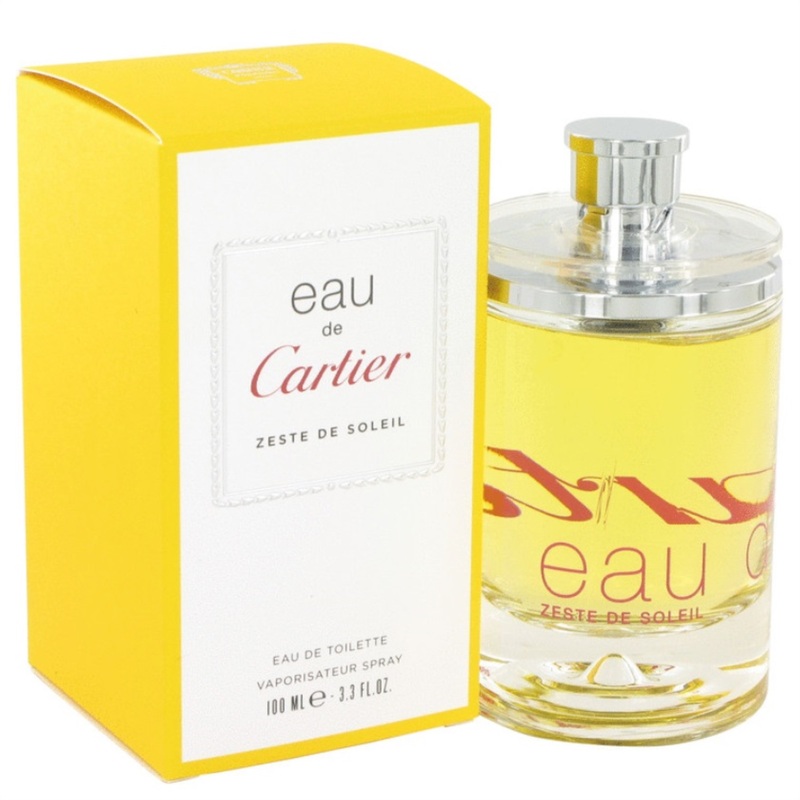 Eau De Cartier Zeste De Soleil Cologne by Cartier, Created in 2013, eau de cartier zeste de soleil is a bright and refreshing men's fragrance that's ideal for daytime wear, making it perfect for work or a day at the beach. Its high notes of passionfruit are perfectly matched by hints of tingling mint and the smoothing yet bold fragrance of yuzu. Splash on a bit of this cartier fragrance when you wake up in the morning, and you can count on feeling fresh and ready for the entire day. All products are original, authentic name brands.